This is a collection of posts that deal with spirits, deities, and astral travel (crossing over, hedge riding, out of body experiences, etc.). Correspondences for summoning or banishing spirits, faeries, and ghosts. Also for astral travel. 5 Differences Between Your Imagination and Astral Travel – It can be difficult to tell at times, but here’s a few ways you can tell the difference. 50 Offerings to Give a Faerie – A list of offerings to offer faeries to attract and honor them. Astral Travel 101 – A beginner’s guide to astral travel and working with spirits while visiting the spirit realms. Enchanting Objects for Second Sight – A how to for enchanting objects to give you second sight or see what lies beyond physical sight. May increase what your eyes physically see but will also allow you to “see” and sense things within your mind’s eye. How to Make Your Home More Inviting For Spirits – Tips on how to make your home and spaces more inviting for friendly spirits. How to Share Your Home with Ghosts & Spirits – Tips on how to share your house with non-corporeal roommates. How to Talk to Spirits of the Dead – An overview guide on how to talk to ghosts. How to Tell What Spirit You’re Talking To – A how to guide on to tell what kind of spirit you’re talking to – and why that might not be important. Let’s Talk Servitors – A discussion on servitors and thoughtforms. Money in the Spirit World – Astral Currency & Trade – A discussion on how money and commerce works in the astral and spirit worlds. One of the Best Sacred Offerings: Charity – A post on why charity is a great offering. Practical Applications of Astral Projection on This Plane – A discussion on astral projection and astral travel on this plane of reality. Spirit Destinations: How to Find Your Way in the Astral – How to and tips on finding your way in and about the astral and spirit realms. 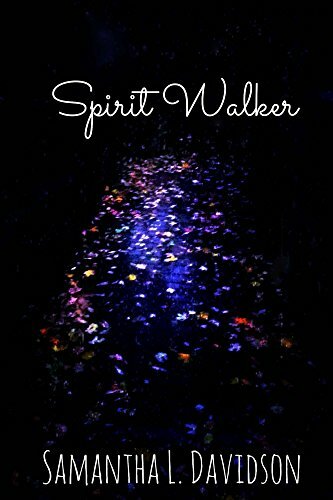 Spirit Destinations: Spirits Who Can Help – Ever need to find a particular spirit? Ever wanted to visit a healing spirit? Here’s a list of spirits who can help, all found in a central location in the astral. Spirit Destinations: Valley of the Witch Seer – Valley of the Witch King is a great place for beginners to appear in the astral – if you can find it. Spirit Destinations: When Spirit Worlds Connect to the Physical World – A discussion on how some places here in the physical world seem more like the astral than here. Tips for crossing over, being safe, and coming back (tumblr repost) – An extensive list of tips and things to consider when you’re venturing into astral travel. Trance Pre and After Care – Some helpful tips on what to do before and after a trance or astral travel session. What is Horsing? – A discussion on consent-driven possession.